Cook pasta according to directions; drain. Meanwhile, in a pan, saute onions, olive oil, pesto, and garlic together. Add in eggplant and saute a bit longer. 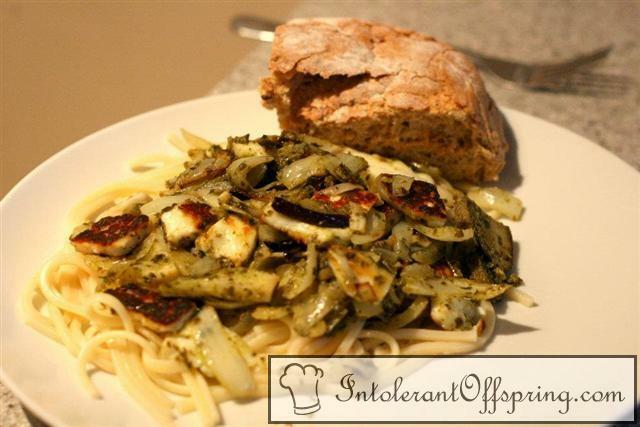 Slice halloumi into squares and brown on skillet. Mix linguine with mixture.